Does Red Diamond Tea Have Caffeine in It? Does Cocoa Butter Contain Caffeine? What Are the Negative Effects of Caffeine on the Internal Organs? A cup of coffee starts the day off right. You might enjoy the boost in alertness and the caffeine jolt wakes you up. If caffeine causes an uncomfortable pounding in your chest, shaking hands and jittery nerves, you may want to consider decaf coffee. The choice of caffeinated or decaffeinated products should be based on an understanding of the benefits and drawbacks of both types of beverages and your own health history. 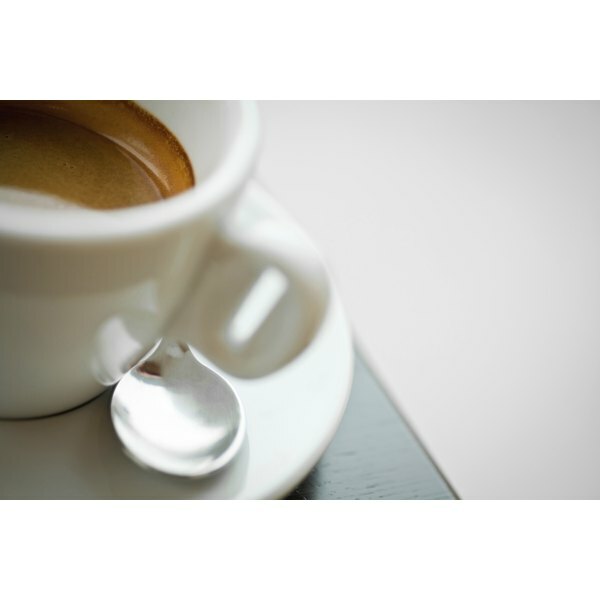 Caffeine stimulates your nervous system, says the International Coffee Organization. It makes you feel more awake, alert and able to concentrate, although the effects vary from person to person. Caffeine is absorbed rapidly into your bloodstream but does not accumulate in your body, so any effects are temporary. Caffeine increases the effectiveness of analgesics up to 40 percent and it is a common ingredient in migraine medications. Several studies have noted that caffeine may provide protection from Parkinson's disease, including one published in March 2000 in "The Journal of the American Medical Association." The stimulatory effects of caffeine also count as its drawbacks. Caffeine, especially in high quantities, can cause high blood pressure, nervousness and increased production of urine and gastric acid. Drinking caffeinated beverages before bed can affect your sleep by making it harder to fall asleep, decreasing total sleep time and reducing the overall quality of sleep. If you have a heart condition you may discover that caffeine triggers arrhythmia. Overuse of caffeine-containing products may lead to caffeine dependence, adds FitDay. If you are addicted to caffeine you may experience withdrawal symptoms, which can include headache, anxiety, fatigue and depression, when you do not receive your usual amounts of caffeine, according to Princeton University Health Services. Products that normally contain caffeine, including coffee, black tea, chocolate and colas, become decaffeinated through a chemical process, explains the International Coffee Organization. Green coffee beans run through a steam or water bath to swell the beans. The caffeine is extracted using water or another solvent, and then the beans are washed free of the solvents, dried to remove the excess moisture and roasted. All decaffeinated products contain small amounts of caffeine. Decaffeination markedly reduces the amount of caffeine in a product without affecting the flavor, explains the International Coffee Organization. If you are sensitive to the effects of caffeine you may tolerate decaffeinated products better than fully caffeinated versions. Because of the trace amounts of caffeine remaining, you may still enjoy a mild stimulation after drinking a decaffeinated beverage, but you lower your risk of experienciing nervousness or irregular heartbeats. The choice of caffeinated versus decaffeinated comes down to personal preference. Caffeine is safe when consumed regularly in moderate amounts.. Regular caffeine consumption has not been linked with any harmful health consequences. Caffeine dependence can be avoided by limiting the amount of caffeine you consume daily, or by taking periodic breaks from caffeinated beverages. People who are allergic to caffeine should avoid all caffeine-containing products. Consult a physician if you are pregnant or if you have heart irregularities before consuming caffeinated products. FitDay: Caffeinated vs. Decaf: Which is Better? Does Instant Coffee Affect Health or Cause Cancer? Are There Any Negative Reasons Not to Drink Green Tea?